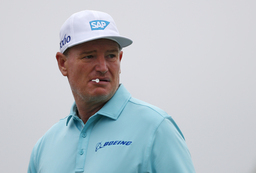 MELBOURNE, Australia (AP) International team captain Ernie Els has named K.J. Choi, Trevor Immelman and Mike Weir as his final three assistants for this year's Presidents Cup. Els had already named Geoff Ogilvy as one of his assistant captains for the event at Royal Melbourne from Dec. 9-15. Choi will return as an assistant for the second time after serving as vice captain to Nick Price when the Presidents Cup was played in South Korea in 2015. Choi played on the International team in 2003, 2007 and 2011. Immelman will make his debut as a captain's assistant after playing in 2005 and 2007. Weir will return as a captain's assistant after serving the same role in 2017 and has played on five International teams.